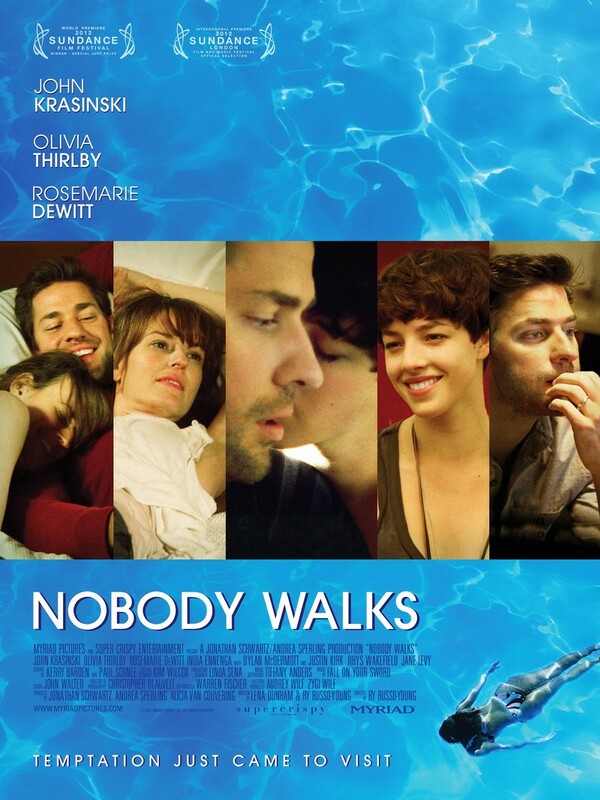 Nobody Walks DVD and Blu-ray release date was set for January 22, 2013. Working to finish an art film, a young and beautiful New York woman takes up residence in the guest house of family in the wealthy and hipster-friendly neighborhood of Silver Lake in Los Angeles. At his wife Julie’s urging, Peter starts using his sound editing skills to help Martine with her art project. As the two work side-by-side in the studio space together, the family becomes more and more engaged with and changed by their intriguing houseguest. While Peter ventures into emotional territory outside his marriage, everyone involved must recognize that the experience has changed things irreversibly.